Are you searching for wood burning stoves in Barwick-in-Elmet? Barwick-in-Elmet is a village just 7 miles (11 km) east of Leeds city centre. It is one of only three places in the area to be explicitly associated with the ancient Romano-British kingdom of Elmet, the others being Scholes-in-Elmet and Sherburn-in-Elmet. All these areas are served by the Leeds Stove Centre for the supply and installation of wood burning stoves. We are now one of the leading suppliers of wood burning stoves to the Barwick-in-Elmet area. We offer a huge choice of stoves in many different designs, ranging from modern to more traditional stoves. Not only do our range of stoves look fantastic, but they are also extremely practical, offering a cheap, eco-friendly way to heat your home. A large selection of our wood burning stoves can be viewed in our dedicated stove showroom in Leeds with many of our displays live and working. We pride ourselves on supplying our customers the best quality stoves at the best possible prices. Therefore, we only stock stoves from trusted manufacturers such as Stovax, Charnwood, Yeoman, Dik Guerts, Burley and more! 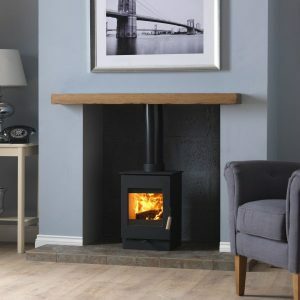 With such a large choice available, all in a range of different designs, your certain to find your perfect wood burning stove at the Leeds Stove Centre. In addition, we are also able to offer an installation service for your wood burning stove. We employ a large number of highly experienced HETAS stove installers who can install your stove, flue system and fireplace. To arrange a free installation survey, just call us on 0113 255 5622. Buy with confidence from the Leeds Stove Centre – The Number 1 supplier of wood burning stoves to the Barwick in Elmet area.